Instructors can embed a Kaltura video in any activity or resource using a special button in the text editor. Both instructors and students can embed a video in a Moodle Forum post. Essentially, a video can be added almost anywhere text would normally be used. 1. Login to Moodle, and open your desired course. 2. 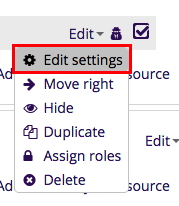 Select Edit Settings at the right of the activity or resource you wish to insert your Kaltura Media into. 3. Click the Kaltura Media icon on the text editor. 4. 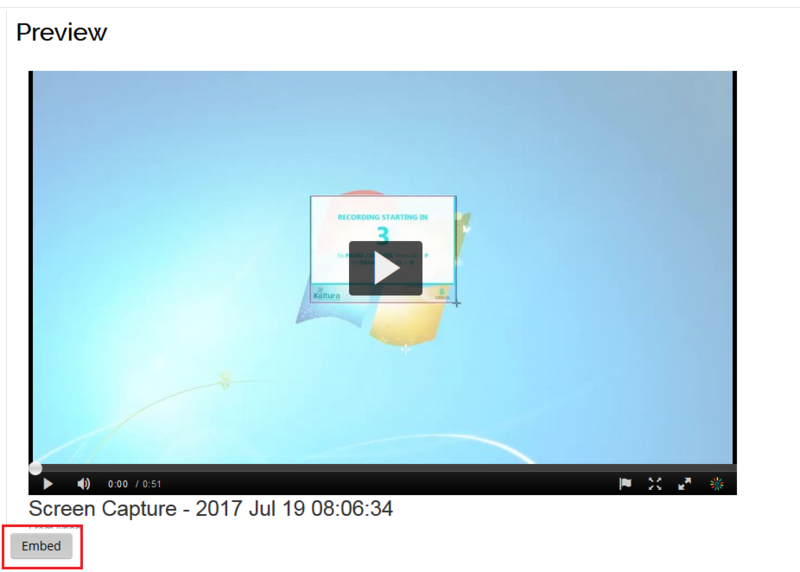 If you want to embed already uploaded content, click the Select button to the right of the video and go to step 6. If you wish to upload new media to embed, select Add New at the top right and continue to step 5. 5. The Add New button will prompt you to select either Media Upload, Webcam Recording, or Screen Recording. 6. Once your media is uploaded, customize your embed settings in the given window. Then click Embed at the right. 7. A Preview window will appear. If satisfied with the preview, click Embed at the bottom left to add it to the course. 8. Select Save and display at the bottom to finish embedding your media.